NEW YORK Boeing's (BA) comments about the smoldering batteries on its 787 have annoyed the National Transportation Safety Board. Boeing gave its own account of two battery incidents, which included a fire, at a detailed press briefing in Tokyo last week. The problem is that the NTSB is still investigating the incidents. Boeing is a party to the investigation, meaning it provides technical experts and, in effect, gets a seat at the table as investigators try to sort out what happened. Boeing's "failure to inform the NTSB of the content off the recent technical briefing in Tokyo prior to its occurrence is inconsistent with our expectations for a party," the NTSB wrote. The letter released late Thursday noted that on the day of the battery fire in Boston, someone from Boeing had signed a certification committing it to the NTSB's guidelines for participating in the investigation. "The NTSB expects parties to an investigation to comply fully with its requirements and respect the role of the agency in performing its investigative responsibilities independently and with transparency," the agency wrote. The NTSB is leading the investigation into the Boston fire. It is also working with Japanese authorities investigating a smoldering battery nine days later that prompted an emergency landing in Japan. 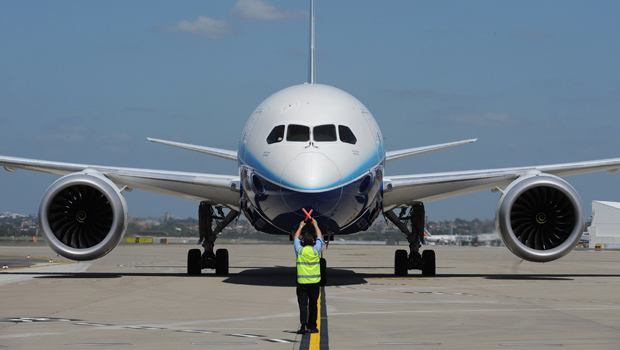 "We have received the correspondence, and remain fully committed to support the NTSB and other regulatory authorities in their investigations into the cause of the 787 battery incidents," Boeing said in a written statement. The 787 has been grounded for two months. Boeing officials said several things at the Tokyo briefing that raised eyebrows. Ray Conner, who runs the company's commercial airplanes division, said Boeing thinks it can wrap up testing soon and get approval to fly the plane within weeks, not months, sounding like Boeing was predicting how quickly the Federal Aviation Administration would let the plane fly again. Conner and other Boeing officials later said that they know the FAA will move at its own pace. They also said there had been no fire inside the battery itself in either of the two incidents. The only flames were seen by a Japan Airlines mechanic coming from the charger connector outside the battery. But the NTSB has not ruled out a fire inside the battery. Both batteries were blackened, and the NTSB found molten steel droplets inside the case of the battery from the Boston fire. The root cause of the battery problems isn't known. Boeing officials said in Tokyo that it's common for airplane flaws to be fixed even though the root cause isn't fully understood. Executives said the improvements to the battery and its charger should reduce the chances that the problem will happen again. Still, that's another area the NTSB has not yet weighed in on. Boeing shares rose 53 cents to $84.86 in afternoon trading.